Universal Appliances, 409 Rideau Street. January 24, 1954. Image: City of Ottawa Archives CA042915. 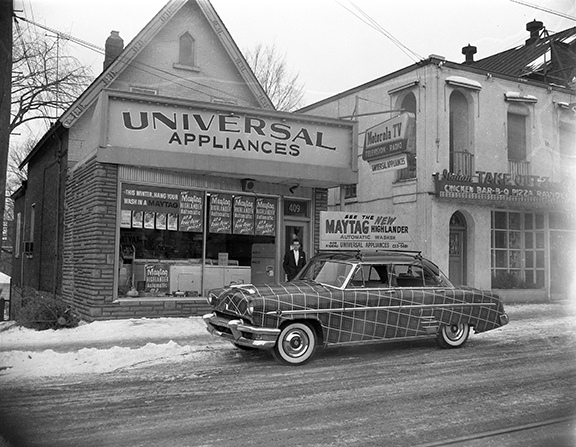 Universal Appliances, 409 Rideau, and a car painted in a tartan pattern to promote Maytag’s Highlander automatic washer. Unlike the case in a certain movie, it was a popular line and far more than one was produced. 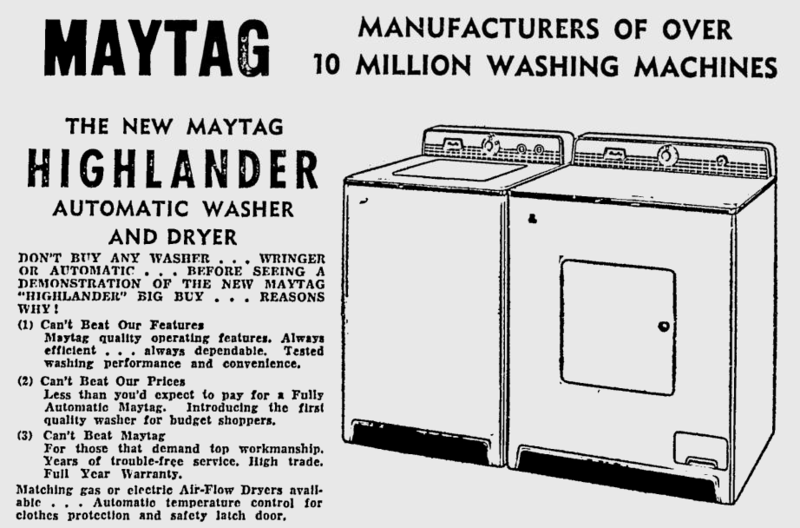 Interestingly, the well-known appliance brand does not seem to have been entirely common in Ottawa: it was rarely advertised in either of the local papers when the photograph was taken. Instead, Ottawa was a Connor town, with Inglis, GE, Westinghouse, Easy, Viking, Beatty, and a few others being a common sight in the city’s laundry rooms. A 1956 advertisement. Source: Ottawa Citizen, December 13, 1956, p. 45. Universal was the next door neighbour to Imbro’s, which is to the right.